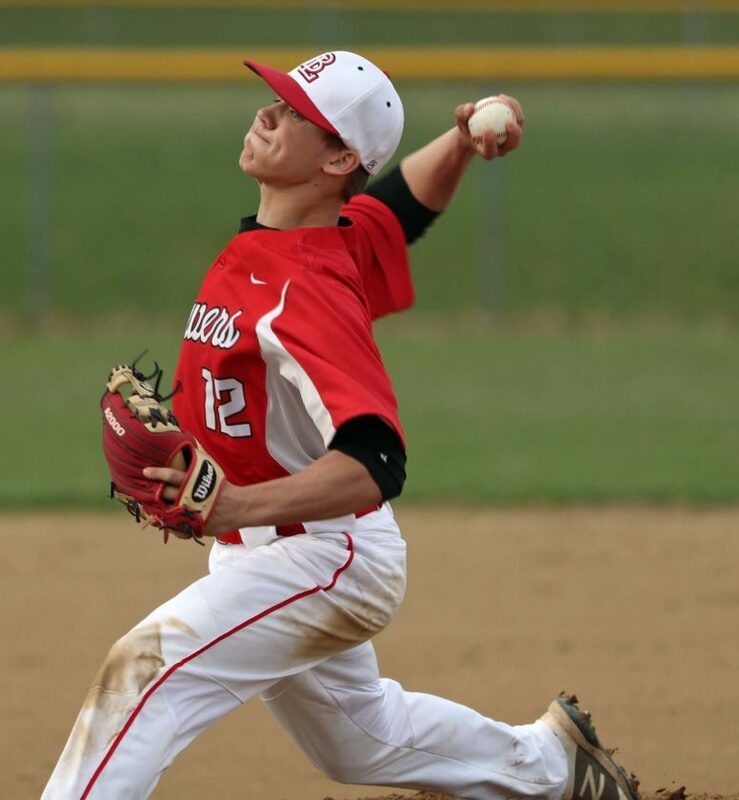 LISBON — The weather came calling again as it has all spring, but this time Beaver Local and Lisbon were able to beat it as they got all seven innings in on Friday at Allen Dickey Field. The Beavers weathered the storm and took down Lisbon 9-4 after a delayed start along with a steady rainfall in the final two innings. The game was delayed for about 30 minutes after the third Beaver batter reached the plate when lightning was heard in the distance. Beaver Local came out of the weather delay ready to go as they plated four runs in the first inning. The inning was highlighted by a two-run single by Michael Bock making the score 4-0. Cameron Lane added a two-run double in the top of the second inning, building the Beavers lead to 6-0. Trey Pancake was solid for the Beavers on the mound as he escaped two bases-loaded jams with inning-ending strikeouts. “Trey pitched a solid four innings and gave us what we needed to win,” Agnew said. Pancake finished the game with eight strikeouts. The Beavers did something today that Agnew has been preaching to the team all season as they go on. A sacrifice fly from Pancake scored Hunter Saltsman extending the lead to 7-0 in the top of the third inning. Danny Davis scored on a fielders choice in the fifth inning making it 8-0 Beaver. The Lisbon offense got started in the bottom of the fifth inning when Cam Summers hit a solo home run to right field getting into the Beavers lead at 8-1. Hunter Saltsman added another Beaver run after a single in the top of the seventh inning. In a rainy seventh inning Lisbon put across three runs highlighted by a two run single from Sam Donaldson. Blake Reynolds scored the other run for the Blue Devils on a fielders choice to round out the final score at 9-4. 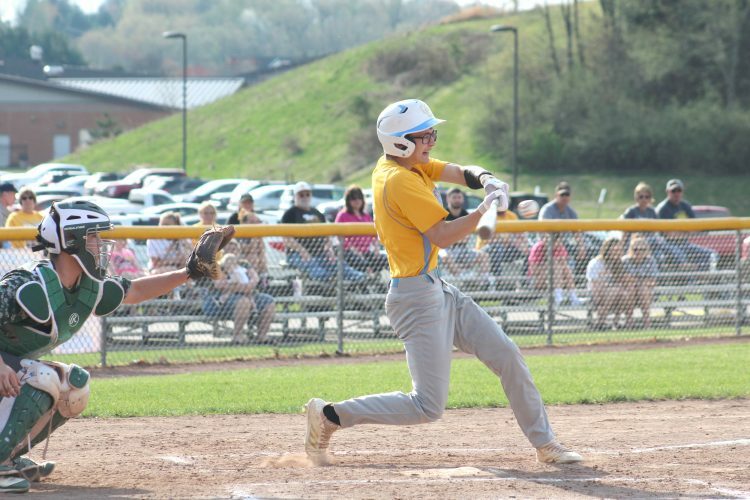 Donaldson led the Blue Devils with three hits including two doubles. Logan Bell had two hits. “I’m glad the kids got out of it in that final inning,” Agnew said. Pancake, Lane and Bock each had doubles for the Beavers. ¯ The game had multiple short delays in the final innings due to cars turning headlights on along the outfield fence and distracting hitters. ¯ Beaver Local is now 6-9 and will host Salem today. Lisbon is 6-7 and hosts United today. BL–Trey Pancake, wp (4IP, 8K, 5BB), Ryan Zywiec (3IP, 2K) and Carter Wolski. LI–Cam Summers, lp (1 1/3 IP, 1K, 6BB), Josh Entrikin (5 2/3 IP, 5K, 2BB) and Blake Reynolds.